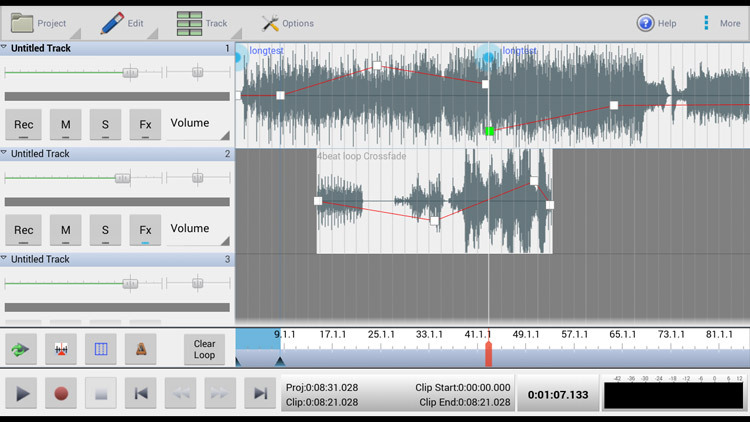 MixPad Masters Edition is a music recording and mixing app designed for easy audio production. Simply add your audio clips onto the timeline then mix music, vocal and audio tracks, adjust the volume, pan, fade, and add audio effects including EQ, compression, reverb and more. MixPad for Android is the digital replacement to a studio mixing desk allowing you to create original music, remixes, mashups, soundtracks and more.